EVERYONE knows it's the trendy thing to do. Even GTAWH has one. You should, too. Hey, it could possibly earn extra money for the site. Whats a cafepress shop? I've never heard of it. You can sell things with your logo on them. Wow I was literally just about to post about one of these, except I was doubting anyone here would buy anything so I didn't post. Would anyone buy anything with our logo on it? and what about internet slang ones? I saw someones shop with tshirts with stuff like "OWNED" and "PWNZ" and "PR0N" on them, I was thinking of buying them. If the price is right, i'll buy vertually anything. Sounds a little risky but I like the idea, i'll stay on the fence for this one. r u leik 1337 ? If it won't be too expensive , I would buy a hat or shirt. Tell me prices you wouldn't mind paying for such merchandise as t-shirt's, sweatshirts, hats, hoodies, mousemats, mugs or thongs etc. See? We are like Shrek and Pus In Boots. Of course I'm Puss In Boots with his awesomez0rz sword fighting. Anyways, Shirts would be over 15 dollars. The prices would be what you'd pay at a mall, more than likely. I had one of these shops. I wouldn't mind helping you with it and getting some logos out and stuff like that. I'd definately buy something, too. Actually, I have an account going to waste. I could open you up a shop. Actually, no. I don't feel like it. But I will help you with your shop. Just make your prices lower than gtawh's prices then you will be good. There's a certain price limit you can't go under. I posted a link to one. Sorry this is off topic but someone stole all my money and stuff. it was probably mike toreno ,I went into his account,he has many steals. No mike toreno's a friend of mine, ah well i'm not gonna be on here as often anyway. But i never even used a weapon. http://www.cafepress.com/thegtaplace will be the shops URL. I will add products there some time. Pyro how exactaly are you going to get the money to get tgp's name on stuff? Waaay off topic. What was the point in posting that? Alot of good site have shops for them. From what I understand, the site pays for something to be made. The person that buys something pays more than what the site payed for it and the site profits. It comes with the whole cafe press account thingy. It's free. They (CafePress) receive a base price on every item sold, obviously shop owners such as myself sell the products for slightly higher than the base price to make a small profit from it. We also have to provide all the logos for them to print on the stuff, It's also very efficient, they only make the product when someone orders it. Not on-topic, but similar. There is a site that sells vinyl skins for consoles. They allow you to download templates and design your own, and they finally have templates in for the PS2 slim and PSP. I want to download them and design my own Spaz PSP skin and my own TGTAP PS2 skin. You know, for further advertisement. 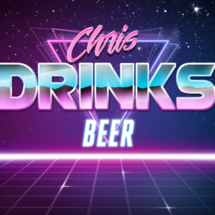 What do you think, Chris? Spaz your are a genius ,thats a great idea. !